LIQUID METAL SHADOW - Ultra-glittery, shiny - LB - 4 NEW SPRING 2019 COLORS! Creamy, long-wearing eyeshadow applies with ease and dries down to a smooth, demi-matte finish. Buildable coverage formula may be applied sheer for a natural look or built up for extra drama. Cake and crease resistant. SOFT TEXTURE INFINITY EYESHADOWS: Refined, sleek, shadows that provide a lustrous finish. These exotic hues go on smooth and are easily blendable for absolutely stunning eyelids. Mineral-enriched eyeshadow with a modern matte finish. Pearlescent undertones inject a hint of shimmer for a "matte glow" effect. Apply with our Large Eyeshadow Makeup Brush. These silky eyeshadows are formulated with a unique high pigment density, which promises long lasting color. The Superb texture is easy to blend and can be applied wet or dry. MID-SIZE FROST EYESHADOW - Velvety texture, bold, trendy - LB - 2 NEW SPRING 2019 COLORS! Eye-catching! Bold! Superb shades, all beautifully ranged to complement all seasons, all fashions. Our velvety texture and highly pigmented eyeshadows will keep you on the cutting edge of the trends. These shadows are here to shine! Soft, velvety texture glides on in one swipe. Paraben Free. Mineral-enriched eyeshadow with a soft, shimmering finish. Naturally radiant minerals and skin-caring vitamins pamper lids with crease-proof perfection. Cream formula diminishes fine lines and neutralizes eye lids, allowing your eye shadow to adhere to your lid for maximum color payoff. Simply choose the right shade for your skin tone. In style and fabulous! These eyeshadows glide on like silk while delivering the maximum payoff of rich, beautiful, long-lasting color. EYE LIGHT - Shadow Dust - Sparkle! Shimmer! Shine! - LB - 2 NEW SPRING 2019 COLORS! Loose powder eyeshadow dust creates intense color and comes in a spill-proof package. Use to highlight eyes for drama, wet as sparkling eyeliner, or as an all-over face and body highlighter. Paraben-free. 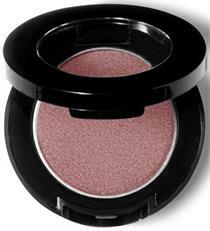 This highly-pigmented creme eyeshadow glides on smooth and dries instantly for a beautiful finish. Advanced formula is waterproof, creaseless and long wearing. Paraben-free. Fashion is no place for the timid so add the dare to your stare with Bold Effect Shadows! These incredible shades of ultra-radiant, high-pigment eyeshadows are bursting with color to provide the perfect balance of beauty and confidence. Must for makeup application. All two products are long-lasting, waterproof formulas that prevent creasing while neutralizing the lid to bring out optimal color. Use Pearl for a luminous glow. SHADOW BASE - Transparent eye primer, locks shadow in place - TOP SELLER! Transparent, lightweight shadow base locks eyeshadow into place with a unique polymer system. Extends shadow wear and provides hours of crease-proof coverage. BOTANICAL SHADOW PRIMER - .50oz. Tube- Soothing & Calming - TOP SELLER!. Soothing, herbal shadow base evens skin tone, camouflages flaws and provides the perfect canvas for creaseproof, all day color. SHADOW MAGNET - High-tech primer, locks in color for ultra-long wear. Eyeshadow primer. 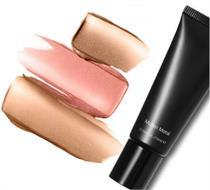 High-tech, pre-shadow primer helps keep shadows color true and magnetizes color to lids for ultra-long wear. OIL FREE EYE MAKEUP REMOVER - 6.5oz.- Delicate, Non-Irritating - LB..
A delicate non-irritating makeup remover formulated for the delicate eye area. Safely removes all traces of makeup with no oily residue - 50 Pads Jar available. Keep your Mineral Eyeshadow on all day with this sealant. A shadow brush of fine Goat Hair for even blending of eye shadows or highlighting. Apply shadow with ease using this densely packed eyeshadow brush. Made of fine goat hair. Dual-ended brush, one side applies all-over eye color, the other has a flat angle for precise contouring. Contour eyes with this pony hair brush. Can be used for blending shadow in the crease of the eye. The high-gloss handle is lacquered nine times for maximum durability. Smudge liner or shadow precisely into lashes for a perfect smokey eye or to diffuse product for a more natural look. Made of pony hair and gentle on delicate eye area. Cleaning makeup brushes prevents oil, makeup and bacteria buildup. Bacteria in makeup brushes can irritate your skin and cause skin infections, clogged pores and rashes. Paraben Free.